Last week was a kale kind of week. First, I bought 10 bunches of kale–could not miss 5 for $5 sale! (remember, you can always freeze extra greens) Then our farm share had a good portion of kale in it too. and finished off the week with cashew glazed kale chips. 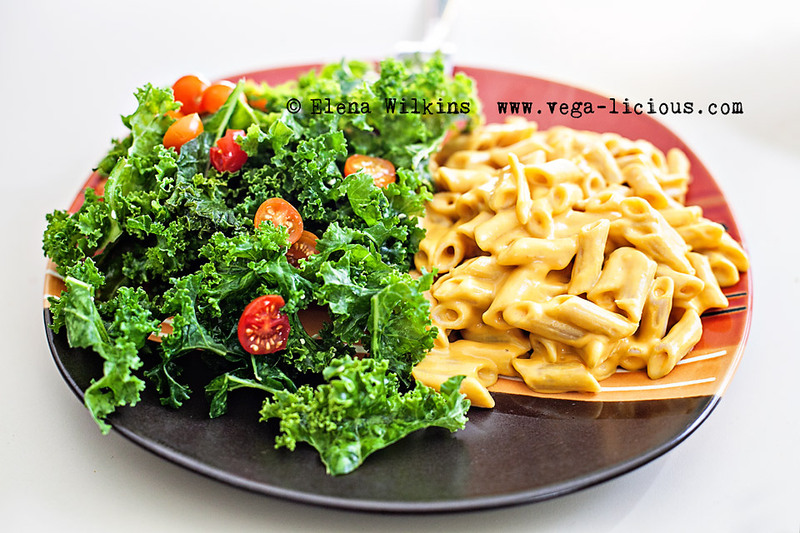 Although I shared a kale chips recipe before, this is a new variation. The chips turned out delicious! They simply melted in my mouth. Sprout helped me, so, all credit goes to her, especially for her lovely face, which was covered in cashew glaze in a matter of moments. 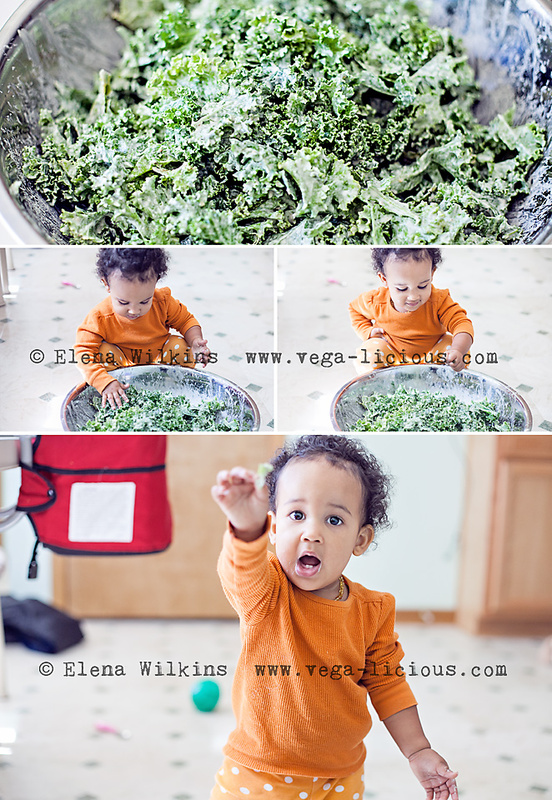 In today’s post you will learn how to make kale chips. We make our chips oil free, and I suggest you do the same, to avoid clogging your arteries and driving up your cholesterol. Place glazed kale on dehydrator trays, one layer height (so, separate chips one from the other, so they do not stick, but you do not need to leave too much space between them). I have a 9-tray dehydrator, so, I spaced the trays apart (ended up with full 4 trays), so that the chips were not squished. 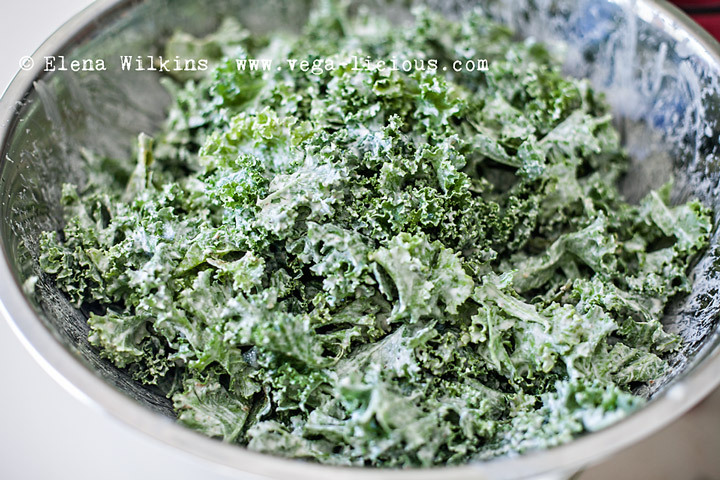 If you do not have a dehydrator, you can still make kale chips. Although the chips will no longer be raw, they will still have plenty of nutrition to keep your body happy. Store chips in an air-tight container. Between Sprout and I, it took us only two days to finish the entire batch! I think she had most of them. They are that good! Make them. Enjoy them. Tell me how you liked the recipe. And, please, share it (social share buttons are at the top and bottom of this post). 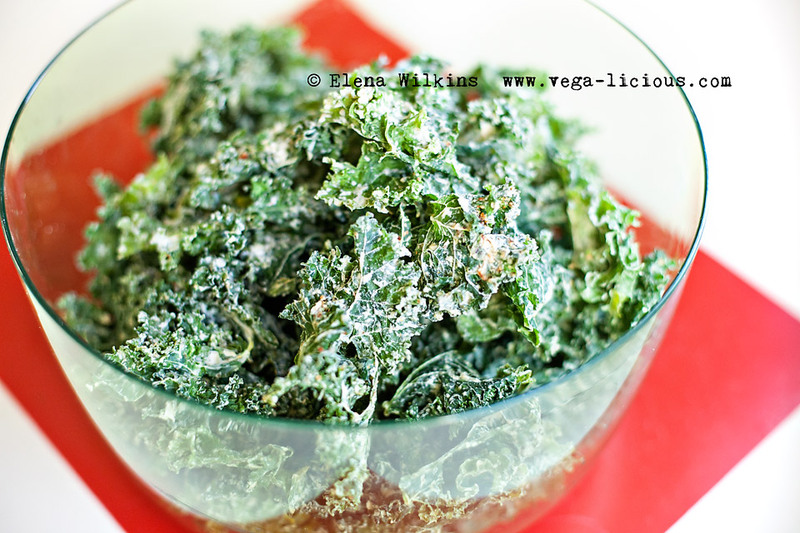 What Toppings do you use on Kale Chips? 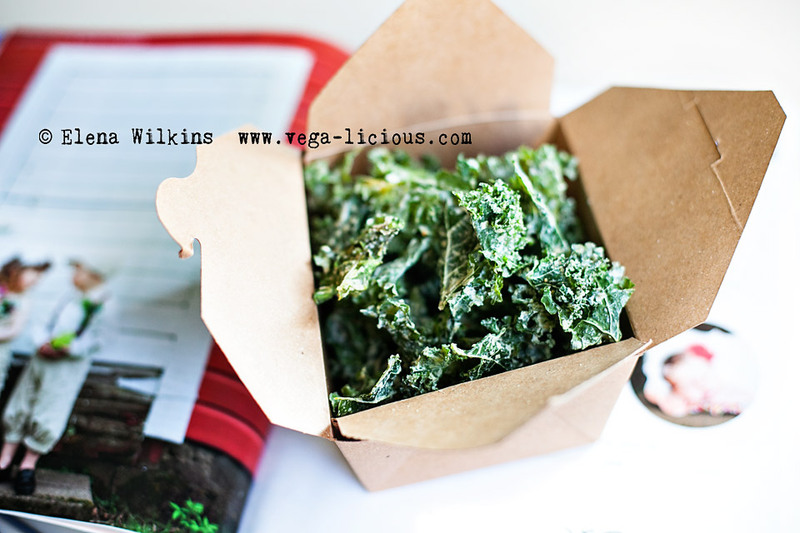 Do you dehydrate or bake your kale chips? And what toppings do you like on them?